Styled with ella short . 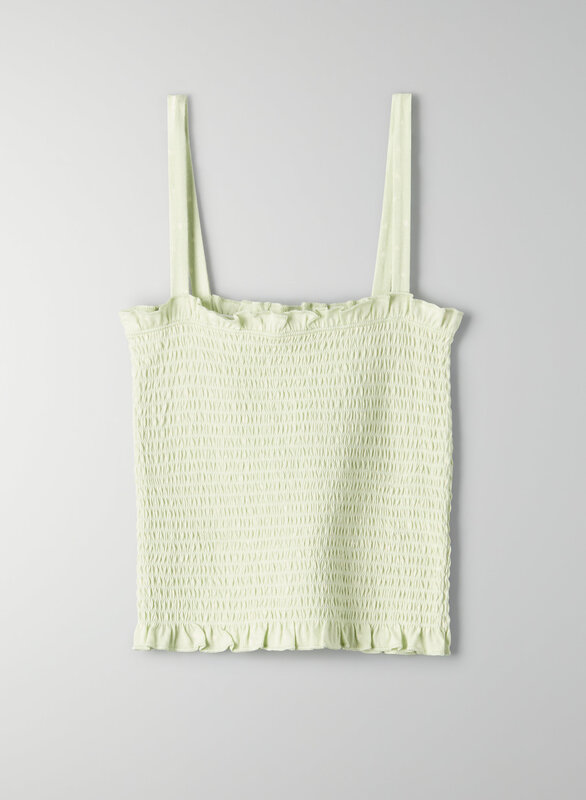 This is a square-neck tank with a ruffled hem and neckline and a smocked bodice. It's made with a soft blend of cotton and modal.